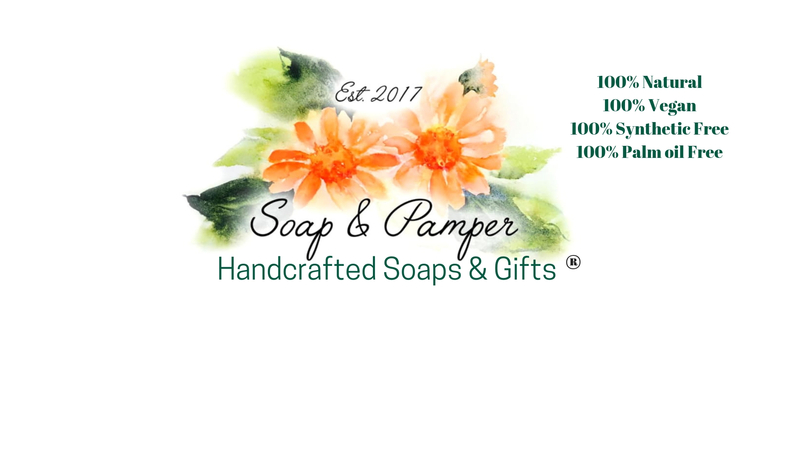 Cruelty Free Shaving Set - Includes 2 Handmade Natural Soaps. This shaving set includes a Ti Tree & Peppermint soap, a Cedarwood, Bergamot and Vetivert soap and a Kent shaving brush made with super soft Silvertex. Essential oils : Vetivert (Vetiveria Zizanoides), Cedarwood (Cedrus Atlanticus) & Bergamot (Citrus Bergamia) Turmeric for colouring, Limonene*, Linalool*. This shaving kit of masculine smelling soaps is the ideal ‘Gift For Him’, that special man in your life. The soaps are vegan friendly and made with natural ingredients with no chemicals to irritate the skin. The ingredients include Coconut oil and Castor oil which create a rich bubbly lather to help the razor glide across the skin. Dollops of Shea Butter and Cocoa Butter help to moisturise the skin. This Vegan Shaving Brush Set contains a Ti Tree & Peppermint soap and a Cedarwood, Bergamot and Vetivert soap. The essential oils in these two soaps are considered to be highly antiseptic and mildly astringent so perfect for that close shave. It also contains a Kent shaving brush which is made with super soft Silvertex. This is a synthetic material to offer the ultimate lathering experience, crucial for the perfect wet shave. This vegan shaving set provides an alternative to those who prefer not to use a natural bristle shaving brush whether they are vegan or allergic to natural bristle. The brush and soaps are enclosed in a box made with recycled paper and tied with string. All my soaps are individually wrapped as a matter of course. This gift box is the perfect gift for that special vegan man in your life be it your, hubby, boyfriend, dad or brother. Make them feel special by buying them a gift that is kind to the environment and free from animal cruelty.